Americans will finally get to decide on Tuesday who will lead the country for the next four years. Neither candidate has been clear of controversy although it is clear that Donald Trump has become the star of the process, seeing that he plowed through his Republican opponents in the primaries and proposed divisive policies that some may label as authoritarian. 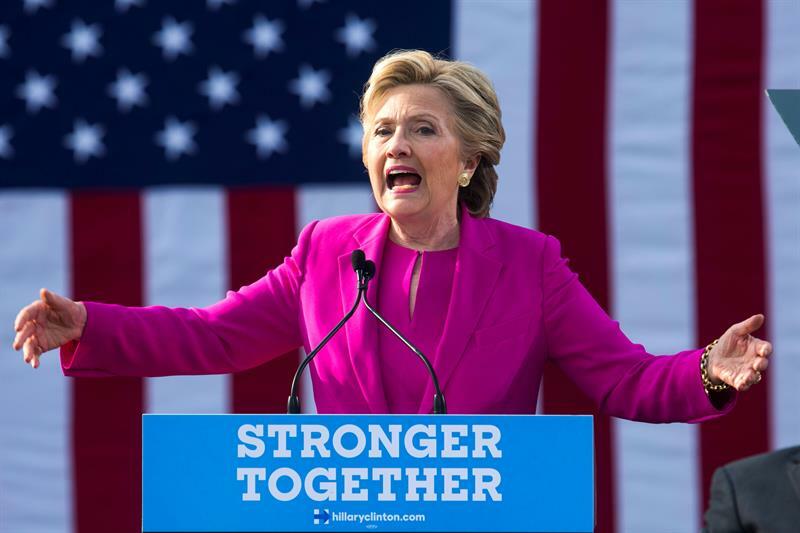 As Donald Trump and Hillary Clinton see their last days as candidates, both have made final remarks on what the outcome could be if the other is voted President of the United States of America. 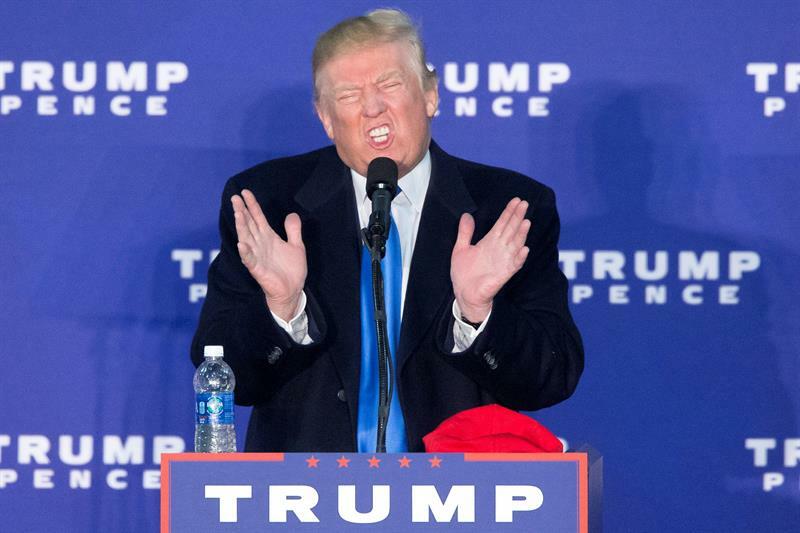 Republican presidential candidate Donald Trump campaigns at a rally at Loudon Fairgrounds in Leesburg, Virginia, on November 7. Image credit: EFE/EPA/MICHAEL REYNOLDS. Trump has not promised that he would accept the election results. In fact, he only confirmed that he would accept the results if he were to win. Analysts are pointing at the 2000 recount for comparison, which Trump says allows him to hold his stance until the election results are in. If he promised to uphold the results, then he could not bring the case to the Supreme Court. Trump’s intention is to use rhetoric and strategy to not let Clinton ever take the lead, even if she were to win the election. Back in 2000, the outcome of the vote depended on the state of Florida, where Al Gore and George W. Bush had a difference of about 450,000 votes or a 0.5 percent of the electorate. 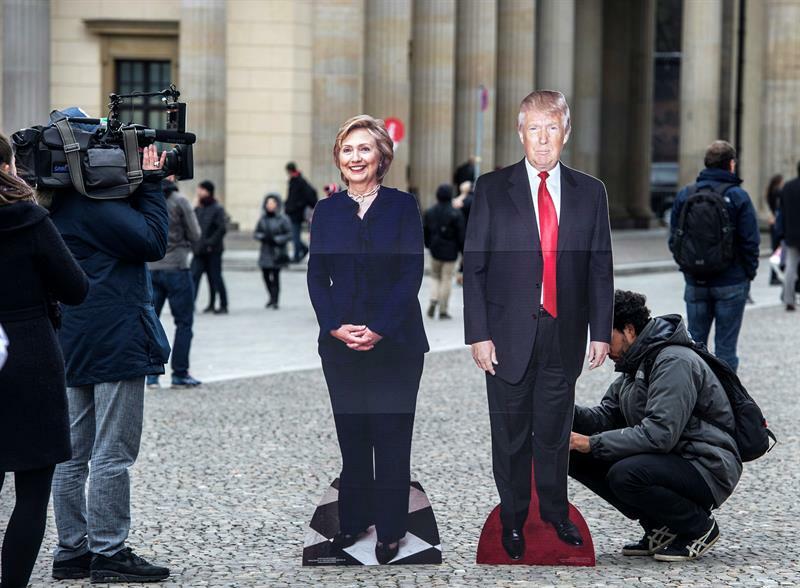 Two effigies of Donald Trump and Hillary Clinton at Pariser Platz, Berlin, on November 7. Image credit: EFE/Paul Zinken. With a 5-4 decision, the Supreme Court awarded Florida’s votes to George Bush, which led the U.S. to the most dramatic time in its history with the 9/11 attacks and the subsequent war on Iraq. After he lost, Gore’s supporters insisted for him to keep fighting, but he accepted the ruling and gave a concession speech that is credited as a critical precedent for elections where the final results are expected to be narrow. “Now the U.S. Supreme Court has spoken. Let there be no doubt, while I strongly disagree with the court’s decision, I accept it. I accept the finality of this outcome, which will be ratified next Monday in the Electoral College. And tonight, for the sake of our unity as a people and the strength of our democracy, I offer my concession,” stated Gore after the court ruling was announced. Donald Trump is also preparing other methods for sabotaging Clinton’s candidacy. He remembered Bill Clinton’s 1998 impeachment for lying, while Rudy Giuliani, one of Trump’s supporters, assured that Clinton would be impeached within a year. But Giuliani also says that Obama’s impeachment did not occur because “the House was afraid.” Contender and Libertarian candidate Gary Johnson also supports the notion that Clinton will have to stand trial for criminal activity. But the reality is that Clinton’s opponents can and will say everything possible to try and bring uncertainty to voters that choose the Democratic candidate, as a way of making them feel like their vote is not going to change anything. Will Clinton be prosecuted after winning? Recently, FBI director James Comey announced that more relevant information has surfaced in the investigation concerning Clinton’s private email server, but he did not recommend criminal charges and he had previously stated that no judge in his right mind would condemn Clinton of a crime. Whether it is for political reasons or not, it seems unlikely that Clinton could be charged seeing that the federal investigation already concluded and Comey said that no further information would be revealed until the elections are over. Hillary Clinton herself has assured that she’s got nothing to fear concerning the new information found by the FBI. Hours after Comey’s announcement, she called for the bureau to release every piece of information regarding the email scandal. Hillary Clinton at a campaign event in North Carolina on November 3. Image credit: EFE/JIM LO SCALZO. “The American people deserve to get the full and complete facts immediately. [Comey] himself has said he doesn’t know whether emails referenced in his letter are significant or not. I’m confident, whatever they are, will not change the conclusion reached in July,” she stated to her supporters. Obama endorsed Comey’s statements and reinstated his support for the Democratic candidate. Perhaps the announcement made by the FBI director was pressured by people who need Trump to have a fighting chance for the remainder of the election. So far, one of Trump’s largest points of instability in his campaign is that he cannot fight Clinton’s proposals all the way through. As it was seen in the three presidential debates, Hillary Clinton adheres to a plan of action for every topic that has surfaced in the election process, while Trump eventually drifts off and uses the same rhetorical figures such as “jobs leaving the U.S.” Although Trump’s remarks have some validity which accounts them as partially credible, he cannot debate these ideas enough to effectively place himself above Clinton. Trump relies on being stronger and an outsider, while Clinton is, as Trump himself has noted, “more of the same” in American politics. None of the available options seem to be appealing to the public, but seeing that voters are bombarded with media coverage, advertising, and any outrageous claim that Trump has proposed up to this point, the choice will always reside in the people’s vote when they head down to the ballots.